In conjunction to my Bloodless Vampire Facial's (Review) for operation Smooth Skin I am also having some TCA Chemical Peels, once Bianca recommended the TCA peel I did some googling and scared myself with the pictures. Once my stomach was settled again I did another search to see what my face would look like during recovery each day and there's no pictures at all so I thought I would show my daily recovery if anyone is thinking about getting the treatment. Bianca started off by cleansing my skin with a glycolic cleanser and then applied a prepping solution, she explained that once the TCA solution was applied it would sting and the more layers of the acid applied to the skin the more it stung as the acid is working its way further down the layers of the skin. The aim was to apply two layers if possible, once she applied the first layer I could feel a mild sting but nothing major and once the stinging evened off the second layer was applied. Once we got to layer two the stinging was definitely stronger and Bianca held a fan in front of my face to help, it was almost like nettle sting but I wouldn't say it was painful just uncomfortable. She then assessed my skin and decided to do another layer over my cheek area as it didn't have a good a 'frosting' as my forehead (frosting is when your skin turns a whitish shade indicating it will have a good peel). Third layer again stung a little more than the last, once the fan was on my face I couldn't feel it and when Bianca had finish with all the post treatment products my face felt normal. I had expected to walk out of Bianca's looking like I had third degree burns and when I looked in the mirror I was shocked to see I looked quite normal, my skin was a little red but it just looked like I had been sat in the sun too long. 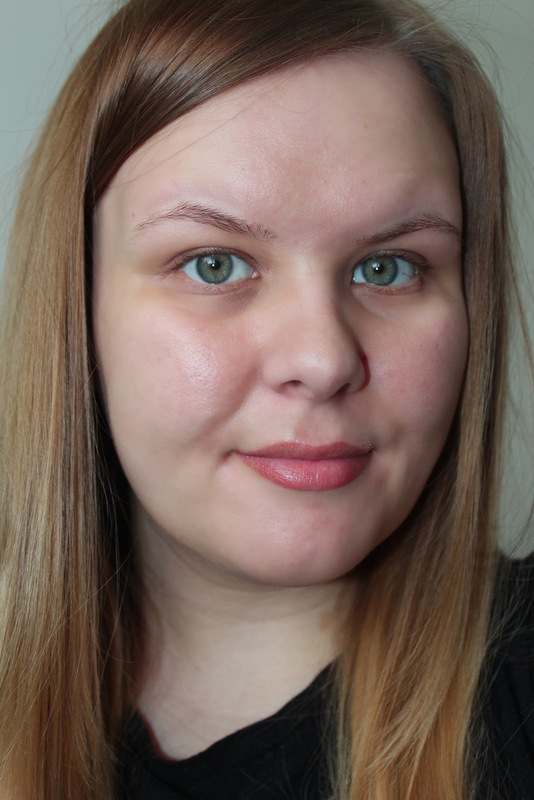 Initially I didn't think I could see much of an improvement, however once all my skin had peeled I saw a huge difference, my skin is a lot brighter and even in tone and my pore size has reduced further. I really recommend this treatment for those of you with acne scarring, I have also seen amazing results (online) on birth marks and ageing skin, I took three days off in total but for my next one I will just take off day four as that is when the majority of my peeling occurred. The treatment is really quick taking just 20 minutes so a definite lunch time facial and you can go back to the office looking a little red and time it so you may only have to have a day off before the weekend. I cannot wait to see what my skin will look like after the next vampire facial & peel and once the whole process is finished I will show the final results of operation smooth skin. You have amn amazing blog heresia!! Following rom Portugal! Nice photos, You look nice.